Against the backdrop of Ghana National Health Insurance Scheme (NHIS), this book analyses patterns of health sector expenditure and NHIS claims expenditure, identifies key factors affecting expenditure level and efficiency, and provides policy recommendations how to improve efficiency and financial sustainability of NHIS. Identifies feasible, cost-effective packages of interventions and strategies across delivery platforms to prevent and treat HIV/AIDS, other sexually transmitted infections, tuberculosis, malaria, adult febrile illness, viral hepatitis, and neglected tropical diseases. This volume emphasises the need to address antimicrobial resistance, strengthen health systems, and increase access to care. 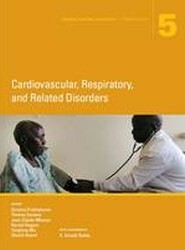 Cardiovascular, respiratory, and related conditions cause more than 40 percent of all deaths globally, and their substantial burden is rising, particularly in low- and middle income countries (LMICs). 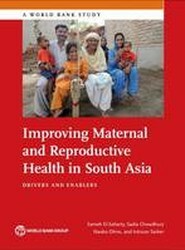 This volume summarises current knowledge and presents evidence-based interventions that are effective, cost-effective, and scalable in LMICs. Provides an understanding of the evolving aged care landscape in China; reviews international experiences in long-term care provision, financing, and quality assurance, and assesses their relevance to China; discusses implications of current developments and trends for the future of aged care in China; and proposes policy options. Non-communicable diseases are the largest contributor to premature morbidity and mortality globally. This volume reviews the health and economic burden of such diseases, and effective and feasible options for prevention, diagnosis, and treatment. The Child and Adolescent Health volume discusses childhood chronic illnesses, chronic malnutrition, and cognitive development. It seeks to evolve beyond the acute and severe conditions traditionally addressed under the rubric of child health, and give emphasis to the longer run consequences of chronic conditions. 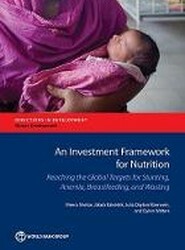 To meet the World Health Assembly global nutrition targets for stunting, anaemia in women, exclusive breastfeeding and wasting, the world needs to invest $70 billion over 10 years in high-impact nutrition-specific interventions. Not only would the benefits be enormous but these investment are among the best value-for-money development actions.